Valentine’s day (every February 14th) is known to be a day where people spend a lot for the person or people they love. I’m sure you are preparing for the day. As people will be spending a lot, there are creative ways by which you can make money online on Valentine’s day. The good thing is, you can spend for the one you love and also make more money back with these creative ways. Before I show you the ways, let’s remind ourselves the brief history of Valentine’s day. According to Wikipedia. “Saint Valentine’s Day, also known as Valentine’s Day or the Feast of Saint Valentine is observed on February 14 each year. St. Valentine’s Day began as a liturgical celebration of one or more early Christian saints named Valentinus. A popular hagiographical account of Saint Valentine of Rome states that he was imprisoned for performing weddings for soldiers who were forbidden to marry and for ministering to Christians, who were persecuted under the Roman Empire. The day was first associated with romantic love in the circle of Geoffrey Chaucer in the High Middle Ages, when the tradition of courtly love flourished. In 18th-century England, it evolved into an occasion in which lovers expressed their love for each other by presenting flowers, offering confectionery, and sending greeting cards (known as “valentines”). Valentine’s Day symbols that are used today include the heart-shaped outline, doves, and the figure of the winged Cupid. Since the 19th century, handwritten valentines have given way to mass-produced greeting cards. 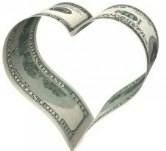 So, what are the creative ways to make money online on Valentine’s day? 1. Sell lovely items like roses, handmade cards, candy, cakes or jewelery. These items can be used as valentine’s gifts. 2. Offer online services such as flower delivery, SMS delivery, gifts delivery etc. People will be looking for these services so that theu can get in touch with their loved ones in a far distance. 3. Write a blog post or a short story/report about Valentine’s Day. What you write can be for or against valentine’s day. If you do a blog post, you make money if you have stuffs like Google AdSense on your blog. If you write a short report, you make money from the sales of it. 4. Make short audio/video messages people can buy and send to their loved ones. Some people want to do this but they may not have sweet voice or how to make the audio/video online. Help them do this and charge them a fee for it. 5. Setup a Valentine’s Day singles online party and charge a registration fee. You’ll be surprised at how many singles are dying to meet someone new. 6. Offer special deals on your products and services. If you have been running an online business, Valentine’s Day is a good time to offer discounts of your products or services. Let people get them at a reduced price. These are few creative ways to make money online on Valentine’s day. 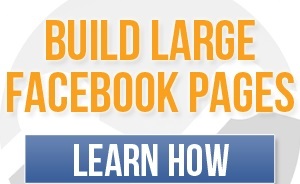 There are other ways you can get this done but if you do the 7 ways stated above, you’ll be sure to make some money online on Valentine’s day. You can get involved in other legit ways. And if you know of another idea I didn’t write here, you could kindly share them as comments.